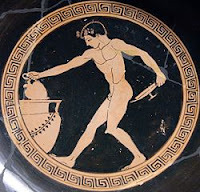 History Undressed: Medieval Beverages - Tasty!!! Well, they didn’t have Kool-aid, Gatorade, Earl Grey, Brita, or Starbuck’s either. Not even plain old coffee…How in the world did they survive? Ale – was made from grains and very thick. Think beer but not strained enough. Often they would drink watered down ale. 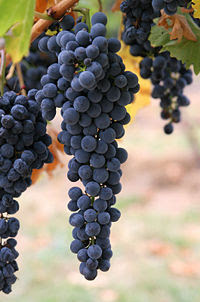 Wine – the poor had no wine, the middle class had watered down wine, and those with money generally had the good stuff. Caudell – was wine or ale that was beaten with raw eggs to make a frothy beverage. I wonder if the guys who were trying to pump up their muscles devoured this drink often? Cider – made from apples, but I wouldn’t serve it to your children today. It was usually mixed with mead or some other alcoholic beverage. Milk – was for children only. Adults didn’t drink it. A milk-cow was considered a prized possession. Especially if the family was starving and the mother couldn’t nurse her baby. Those cows saved a lot of babies from starvation. Milk was also provided by goats. Perry or Poire – pear juice…but again, don’t give it to the kiddies. It’s fermented, and similar to the cider. Spiced wine – also known as Clarey or Claret. It was wine spiced with cinnamon or honey, and other spices. Melomel – this is mead that contains fruit, like berries. 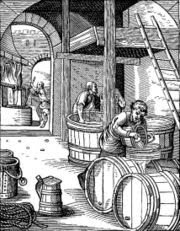 Methegin – was a type of mead made with spices. By the way, in medieval times it was okay to drink alcohol with breakfast. Do you think I could get away with it, if I said I was doing it for research? "Oh, wine boy! Fill 'er up my lad." I so enjoy the interesting tidbits you post. Thanks. Wonderful article, Eliza. I saw a program on the history channel that said the reason we drink so much beer is because of the Little Ice Age. The cold killed off European and English grape vines (yes they grew grapes in England!) and folks turned to grain-based beverages. Wonderful post yet again Eliza. I love English cider. I once took a tour of a winery in Britain, and ended up buying not the wine but the cider and a bottle of mead! Thanks Paisley! Me too! That is hilarious. When I went to Ireland I had no problem downing the Guiness even though I typically hate dark beer. Thanks for sharing your story! After having my first taste of mead this March I think I would have been a very happy medieval chick if I was able to drink it regularly! I would highly suggest checking out that local mead brewer, yum! 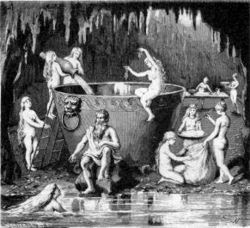 Most of the drinks were alcoholic, but I know in the 18th century there was small ale which was watered down ale that was only 2 or 3 percent alcohol that was very common for the kids to drink, also, beer was not nearly as strong as it is today, today people want to get drunk off a beer. Just look at Hogarth s beer ally and gin lane. I know this is later in history, but I don't think the drinks were as strong in the middle ages as they are now. It was nice to see a list of all the drinks, I would also love to see what food was available then too. great post! I think if I lived in Medieval times I might have been one of those brave souls to drink the water instead. A friend brought me back some mead from a Renaissance Fair and I have to say that it tasted a little like battery acid. (or at least what I imagine battery acid tasting like). It must be an acquired taste. What I have always wondered about was pregnant women - how the heck did all that alcohol not hurt the babies? Or maybe it did? I love the information you post in this blog. Great post Eliza!! I have to say, I certainly know where to go when I need the facts - you are brilliant! Thanks for sharing with us! Very cool info, Eliza!! I always enjoy your posts!! thanks i am writing a fictional story that takes place during the very earliest midevil times and needed to know alchohol info for a bar chapter. if anyone knows of any academic research on this subject, pls let me know. i have no idea why i am perplexed by this subject. Wow! Thanks 4 the great info Eliza! We have this Medieval Day coming up and desperately needed some beverage ideas 4 the day! thanks again!